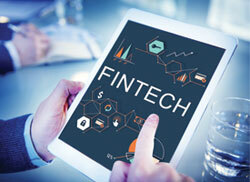 FinTech Bank-The new age Financial Technology sector aka the FinTech sector stormed into the financial services industry post the 2008 crisis with modernised, efficient, personalised and extremely quick services. This caused a large-scale disruption in the sector and threatened the customer base of traditional banks. Some of the biggest breakthroughs in the financial services industry have been driven by FinTech organisations. The post FinTech V/S Banks: The Road Ahead appeared first on erpinnews.